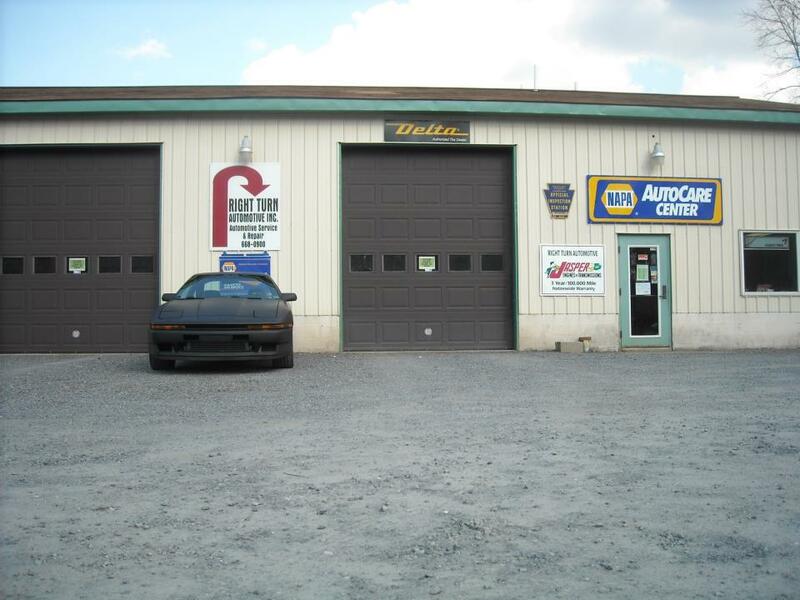 Welcome to Right Turn Automotive Inc.
We are a family owned and operated full service and repair garage located in Hometown, PA (part of Tamaqua, PA 18252). We have modern tools and equipment to serve all makes and models, and ASE certified technicians. Read our services and products pages for more information on what we offer. Free alignment check and free toe adjustment with the purchase of 4 new tires from our retail location (online purchases do not apply). Oil Change Rewards Card: Free oil change of equal value after four paid oil changes. Online tire purchase with prepaid local installation at our shop now available through our partnership with tirebuyer.com. Click below for more information or to shop now.